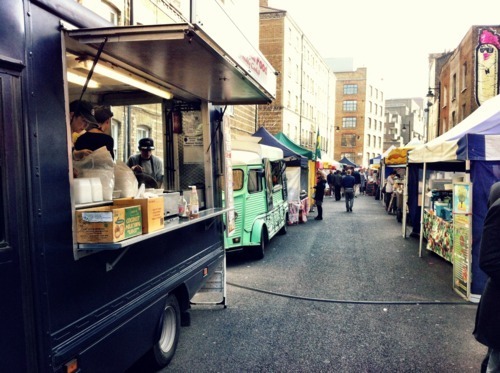 Street food has really taken off in London in the last couple of years, with small markets run by the city’s vast migrant population serving up all of those favourite holiday eats. 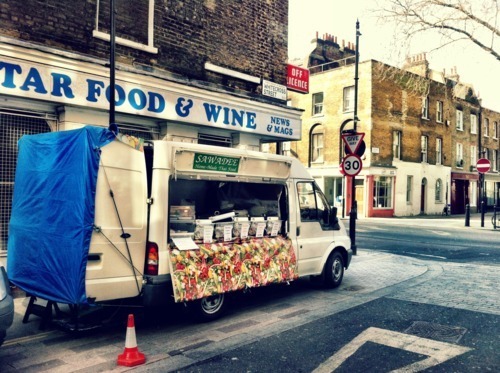 BBC Radio 4’s Food Programme broadcast about London street food in 2010, in a somewhat progressive observation by their standards. Whitecross street is just off Old Street, and just a minute walk from the tube station famous for a confusing number of exits (8 I think). The market caters for the density of workers in this area, who are an amusing juxtaposition of suited financial drones and hipster design types. Needless to say, they all lap up the delicious street food. The longest queues seemed to be for Luardo’s Burrito van (a trendy affair in an old converted Citroen bakery van) and a place serving Tikka Paneer wraps who need to advertise their name better. We ate at Sawadee Thai on the corner with Old Street, mainly because the queue wasn’t too long. They served delicious aromatic and very spicy Thai curries with sticky rice from their cobbled together van at £4 a box. Delicious and a very filling portion. 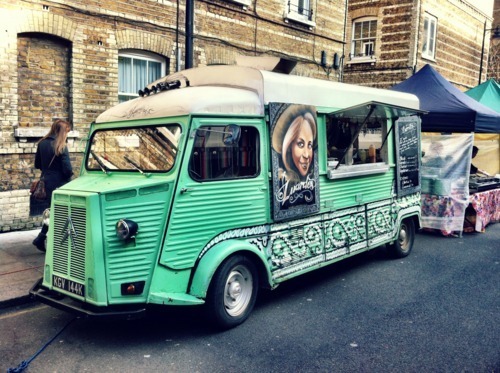 Another street food market I really rate is at The Brunswick Centre on Saturdays.